The Marital and Family Therapy (MFT) program combines personalized instruction, hands-on clinical experience, and internationally renowned faculty. The MFT Program is accredited by the Board of Behavioral Sciences (California) and the Commission on Accreditation for Marriage and Family Therapy (COAMFTE). Students complete rigorous coursework and a 12-month clinical practicum in community sites, such as Rady Children’s Hospital Outpatient Psychiatry and the Eating Disorders Center for Treatment and Research at UCSD. Full-time students graduate in 2 years and accrue approximately 1100 hours toward the 3,000 hours required for MFT licensure in California. After graduation, students become Registered Associate Marital and Family Therapists and continue their training in preparation for licensure. Our biospsychosocial, systems approach centers on relationships, focusing on cultivating a deeper understanding of how family interactions and social connections affect our daily lives. Our approach to family therapy education has been described in our best-selling books, Essential Skills in Family Therapy, 3rd edition (Guilford, 2018) and the Clinician’s Guide to Research Methods: Foundations of Evidence-based Practice (Guilford, 2014). We provide specialized training in medical settings, which is described in The Therapist’s Guide to Psychopharmacology (Guilford, 2006) and Mental Health Professionals in Medical Settings: A Primer (Norton, 2002). Click here to view our Student Achievement Data. As a program that deeply embraces diversity, it's fitting that our coursework explores diverse angles of therapeutic practice. Learn the specifics of how aging issues play out in family therapy, how to work with clients coping with substance abuse, and how to integrate research on social neuroscience. Many MFT students complete their clinical training in medical settings affiliated with UCSD, including family medicine, pediatrics, internal medicine, and reproductive medicine. Students collaborate with physicians in the care of patients and their family members. 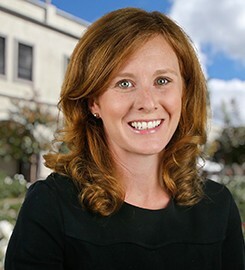 While working as graduate assistant to Dr. JoEllen Patterson during her first year, Lisa collaborated on projects relating to global mental health, including developing a presentation made by Dr. Patterson at the annual convention of the California Association of Marriage and Family Therapists (CAMFT). Lisa also traveled with a group of students to London and Lisbon, where they participated in global mental health conferences. 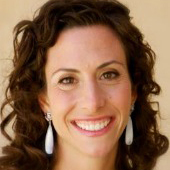 Professor Lebensohn-Chialvo received her doctorate in Clinical Psychology from the University of Arizona and completed her predoctoral internship in clinical child psychology at UCLA Neuropsychiatric Institute. She also holds a MA in Psychology and a BA in History and Latin American Studies from the University of Arizona. Her research and clinical interests focus on four related areas of systemic family theories and therapies, as well as pediatric psychology and integrated primary care. She teaches Practicum and Family Therapy Theories at SOLES.